Cutie patootie! 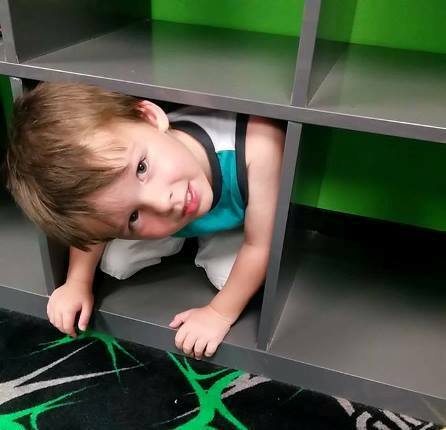 This toddler fits in a shoe rack. My favorite boys never disappoint. Thanks for pics Ms. Hayley.